> PGi > Webinars vs. 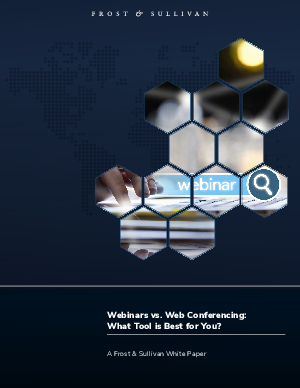 Web Conferencing: What Tool is Best for You? You wouldn’t hold a critical investor call, customer event or shareholder’s meeting in your office bullpen. So why would you host an important virtual event on a platform intended to support small-group collaboration and teamwork? Integrated video draws higher levels of interest and engagement. Custom registration pages offer ranked data on prospect demographics. Polls and surveys give hosts explicit details about participants’ needs, preferences and plans. Built-in links and attachments offer additional entry points and opportunities for follow-up.